Our veterinarians have the ability to sedate your horse if necessary for all dental procedures, to minimize the stress on your horse. What happens to wild horses that don't get dental care? 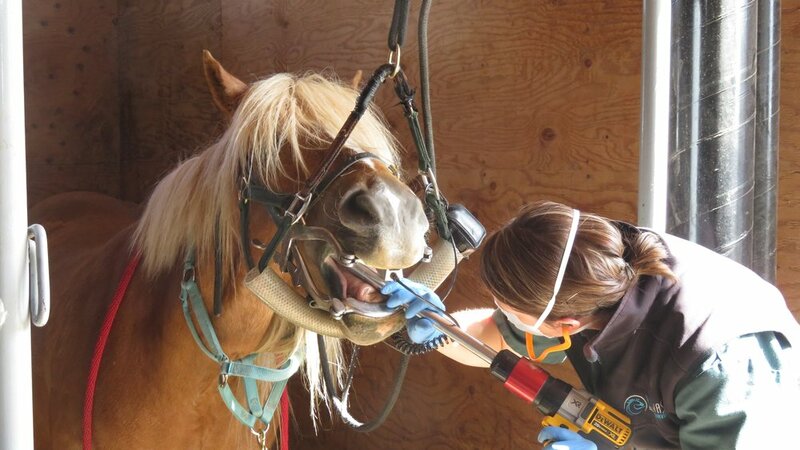 Finding the right person to provide dental care for your horse can be confusing for some owners. Proper dental care can be the key to maintaining overall health in many horses and, just as with other important areas of equine health, owners should consult with an equine veterinarian about best health-care practices. To help you make an educated decision about who provides your horse’ s dental care, it is helpful to know the extensive education, in-the-field and on-the-job training and continuing education that veterinarians complete in order to provide the high level of professional health care that each horse needs.